The kids are in bed and the chaos subsides for another night. The TV flips on as they both collapse into their usual spots. He’s in a recliner and she’s curled tight on the couch. He goes to grab some chips and asks her if she wants anything. She replies, “No thanks, I’ve already got a yogurt.” Not another word will be spoken for the next hour as the onscreen drama they are watching “together” plays out. At 10:00 pm, she pecks him weakly on the lips to say goodnight and he responds, “Be there in a bit,” as he flips the input over to the video game console. This scene repeats night after night and could lead to a failing marriage. 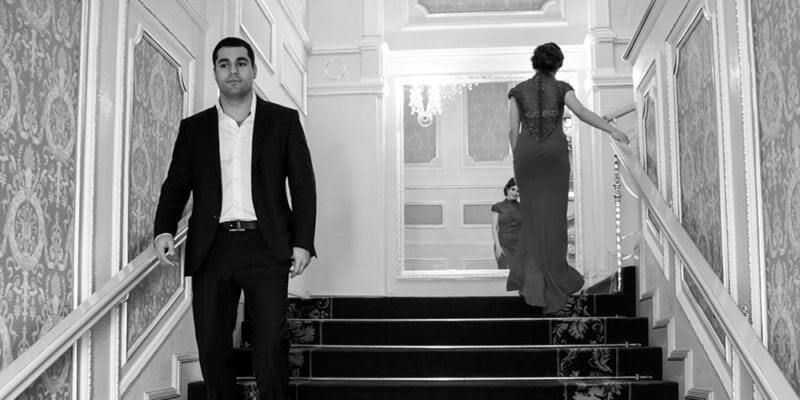 In the modern marriage and family, it is extremely difficult to maintain the special connection between two people that first brought them together. It’s not malicious in intent by one partner or the other; it is simply the path of least resistance and where many marriages wind up. While that bond slowly fades away, other things will begin to fill that void. That is the marriage death spiral. How can you detect if your marriage is going down a dangerous path? 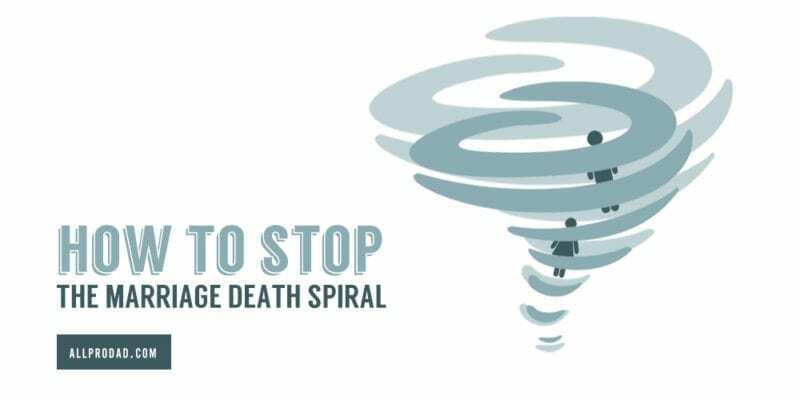 Here’s how to stop the marriage death spiral. 1. True and Total Commitment. “Only one who devotes himself to a cause with his whole strength and soul can be a true master. For this reason, mastery demands all of a person.” –Albert Einstein. It takes just that to make a marriage last until its Golden Anniversary. There can be no half-hearted attempts. Keeping the lines of communication open in relationships and giving to them honestly is probably the most used advice given on this site. There is almost no problem, outside of physical health, that can’t be solved when people honestly communicate their thoughts and feelings. 3. Limit Television and All Devices at Home. We are a wired society now and this becomes more difficult to unplug with each day that passes. But, we must continue to fight the distractions that take us away from our personal connections. If your wife is on Facebook and you are playing video games or watching a game for the 1-2 hours you get alone at night, the relationship is going to keep sinking like a rock. Keep a tight limit. The longer a marriage goes on, the more challenging romance becomes. It’s all been done and it’s all been said. This is why people start to stray as they seek out the magic that came with the newness of the relationship and the wonderful feelings it brought way back when. Make it a top priority to set aside alone time together to date or just simply connect. It’s hard and it takes a dedicated and purposeful spirit, but it is worth it. 5. Put Faith in the Center. The number one way to keep a marriage together is to always keep your shared faith in the center of your relationship. Marriages that are committed to a higher purpose will build foundations strong enough to withstand all the storms life is surely going to bring.